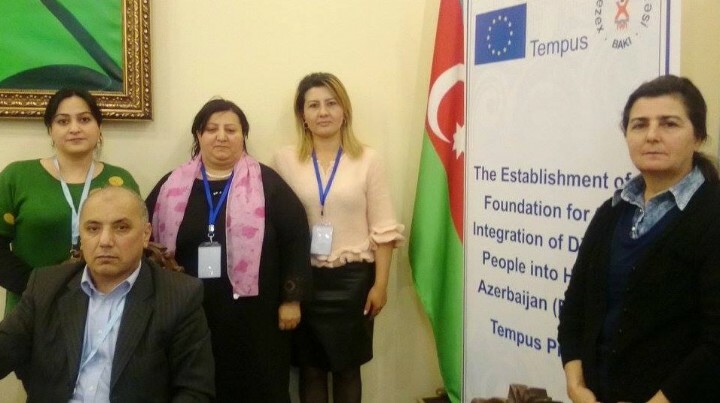 Conference was held at Ganja State University in the frame of TEMPUS (ESFIDIP) project “The Establishment of a Foundation for the Integration of Disabled People into HEIs of Azerbaijan”. The participants of the conference were informed about activities on conducting public awareness about the within the project. It was mentioned that the main objectives of this project are doing initial discussions of current problems, using European experience regarding this field at universities, establishing appropriate condition at local partner universities for disabled people to study. 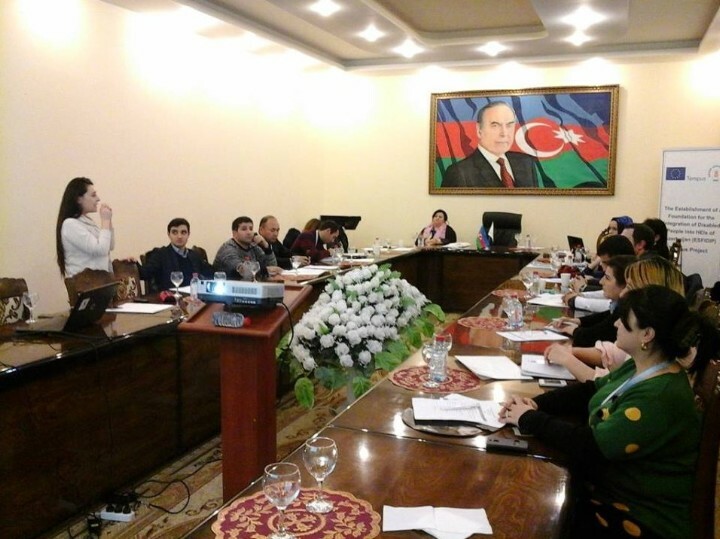 After that a workshop was organized for presentation of the, activities accomplished by partner organization. As a result of the discussions, action plan was approved for the effective implementation of the project. National partners of the project – 6 local partner university (Nakhchivan State University, Azerbaijan State Economic University, Lankaran State University, Sumgayit State University, Ganja State University, Khazar University), The Ministry of Education of the Azerbaijan Republic, The Ministry of Labor and Social Protection of Population of the Azerbaijan Republic, Union of Disabled People Organizations of Azerbaijan Republic, local executive authorities of Ganja city, NGO representatives, disabled people were participated at the events. 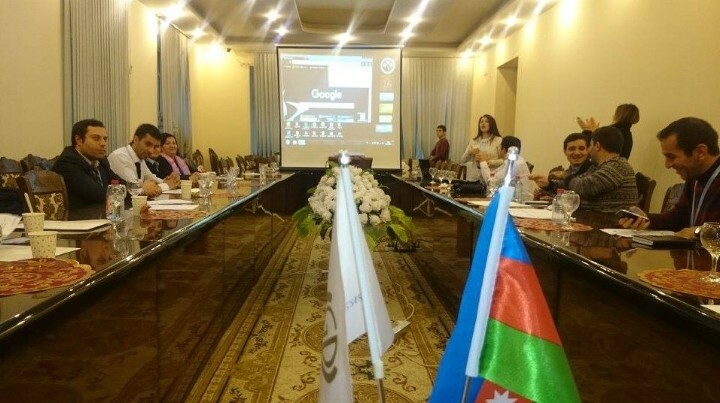 The project is carried out by the support of European Commission and its main goal is using European experience on this field at state universities, establishing Centers for Disabled Students at universities, as a result of the project, providing appropriate condition for disabled people to study at HEIs in Azerbaijan. 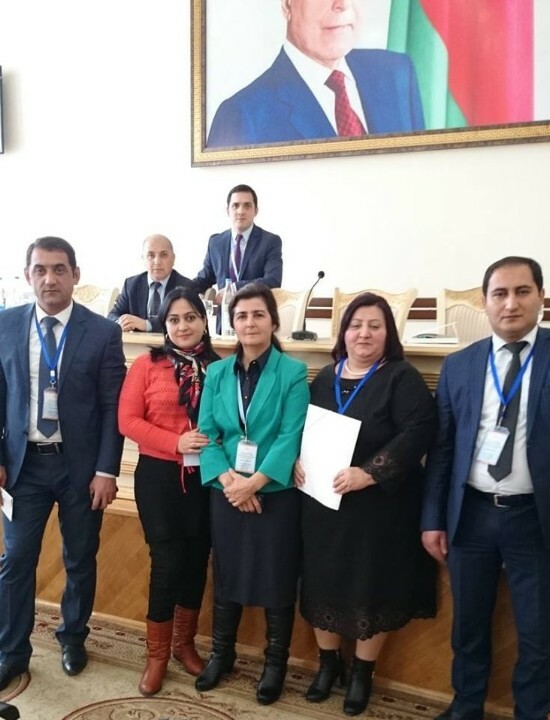 Partners from Azerbaijan and Europe participate at the project and it is being performed in the country by Khazar University.